No Charms are required to attract the Student of the Cheese Claw Mouse. Hunters can encounter the Student of the Cheese Claw Mouse only in the Dojo location. Attraction info and special event loot drops for the Student of the Cheese Claw Mouse can be found at the individual event location pages. The Student of the Cheese Claw Mouse drops the Dojo Student Egg during the annual Spring Egg Hunt. 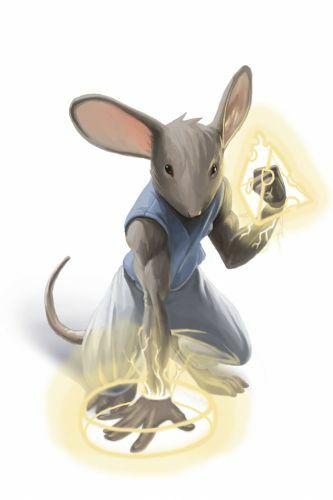 26 November 2008: The Student of the Cheese Claw Mouse is released. 27 November 2008: The Student of the Cheese Claw Mouse begins dropping the Token of the Cheese Claw as loot. 14 April 2011: The Student of the Cheese Claw Mouse began dropping a bonus Dojo Student Egg as loot during the Spring Egg Hunt 2011 event. The Students of the Cheese Claw are very direct and powerful warriors. Their masters train them to never back down from a fight and to never lose. Be wary when facing off against these well-trained warriors for they are very determined and capable in the art of battle.